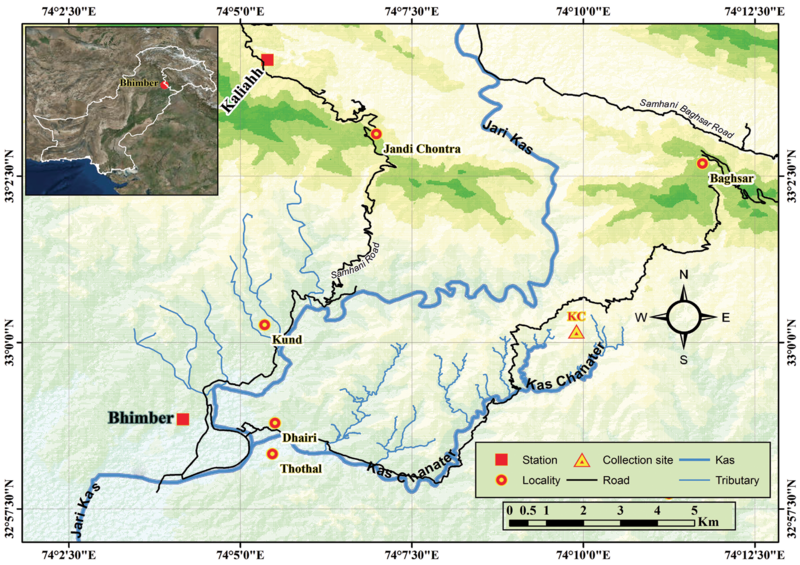 Map of Pakistan showing the Pleistocene Bhimber locality in Azad Kashmir, Pakistan. 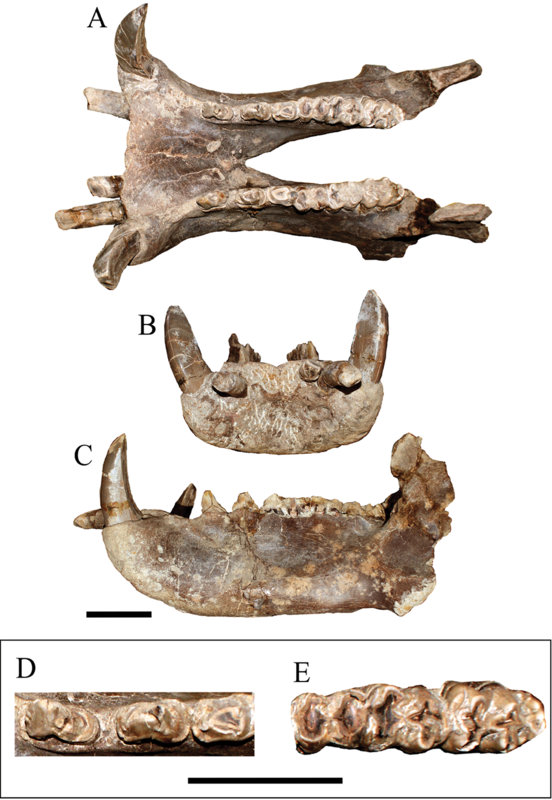 Mandible of Hexaprotodon sivalensis from the Siwalik Pleistocene. A, Dorsal view of AZK-B, 01 with incisors, canines, premolars and molars; B, Anterior view of AZK-B, 01; C, Lateral view of AZK-B, 01; D, Occlusal view of p2-4; E, Occlusal view of m1-3. Scale bar 10 cm.